A freelance website developer, writer, SEO and content marketer, I’m from the U.S., but have been living and working in Costa Rica for more than two decades. With years of experience in direct marketing, as well as inbound marketing, I have helped countless businesses build their online presence, get found, and increase brand awareness and sales. I started 8 Snap Communications in 2009 after a corporate layoff gave me the nudge I needed to start my own gig. Over the years, I helped business owners in numerous industries with their SEO and content marketing needs. However, as more and more hospitality business owners referred me to others, I began to make hospitality marketing my niche. Thus, Hospitality Click was born. Speaking directly to those resort, restaurant, hotel, and tour operator businesses in need of affordable marketing services, Hospitality Click helps them get the direct bookings they need. 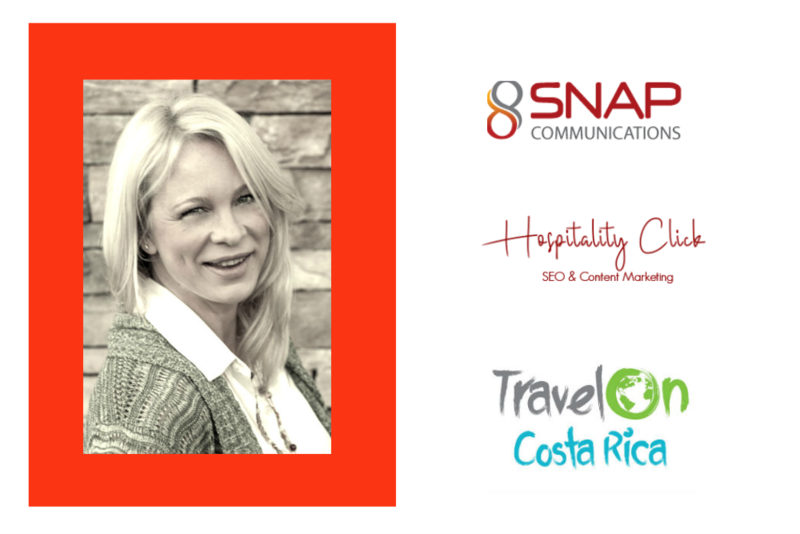 Passionate about travel myself, and fortunate to be able to experience the wonderful properties I work with, I also created a travel blog for visitors to Costa Rica. A labor of love, Travel On Costa Rica is a work in progress and continues to grow as I explore this wonderful country and share it with others.